One of a pair of re-issues this month from one of the key figures in post-war British modern and mainstream jazz. 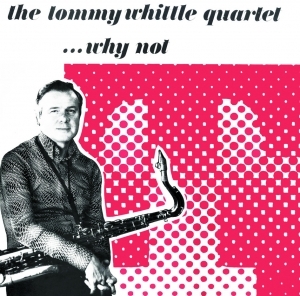 Although perhaps less well-known than high profile contemporaries like Dankworth, Scott and Hayes, Tommy Whittle had a central role in London’s emerging modern jazz scene of the ‘50s, performing with a string of his own line-ups and recording with all the top names, having paid his dues with the Ted Heath Band in the post-war years. Tommy has continued to play with a variety of line-ups over the decades, and in 2012 is still performing. This LP, produced by Lawrie Monk, was made in 1977, and released on the long-defunct Jam label. It features a rhythm section comprising three of the best sidemen around on the British scene, including drummer Martin Drew, who played with Oscar Peterson for the best part of 30 years. Working with a blend of standards and original tunes, the group exhibits an effortless ability to swing and groove through sols and ensemble improvisation, and it makes for very entertaining listening. This is the first outing on CD for this LP, so it should appeal to lovers of the genre, and the many fans of the musicians involved who will have seen them perform in the famous London venues like Ronnie Scott’s and the Bull’s Head over the years. Musicians: Tommy Whittle, tenor sax; Tony Lee, piano; Tony Archer, bass; Martin Drew, drums.